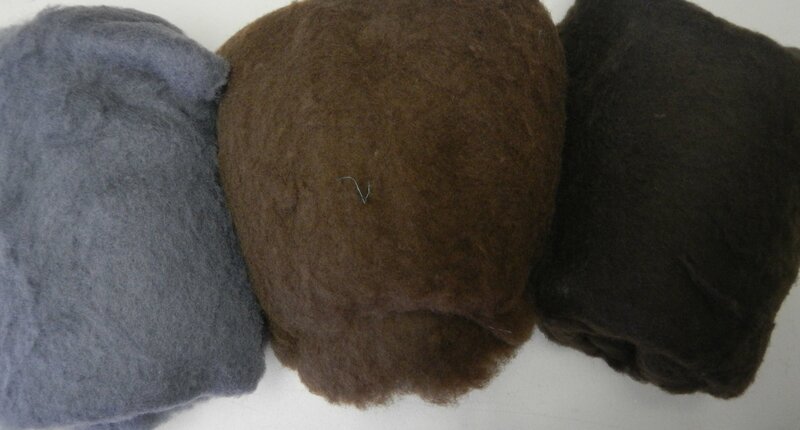 This very short stapled wool felts REALLY quickly and VERY densely. We used it in the Felt Jewelry workshop here this past weekend. 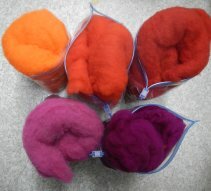 Available today in 11 vivid colors.....the next batch will feature some hand dyed for a bit more range. Offered in both 50 gm and 100 gm increments....it is less expensive per gram in larger increments since it takes less of our time and fewer bags to pack larger quantities! 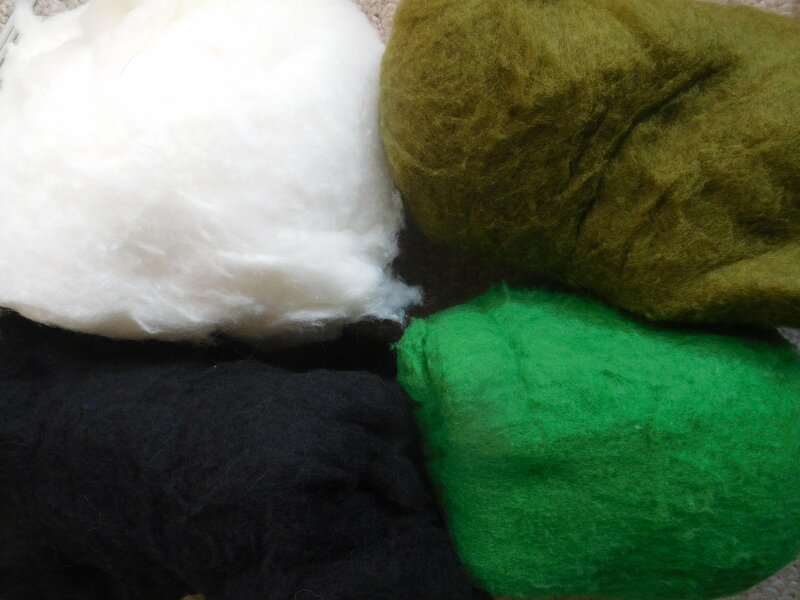 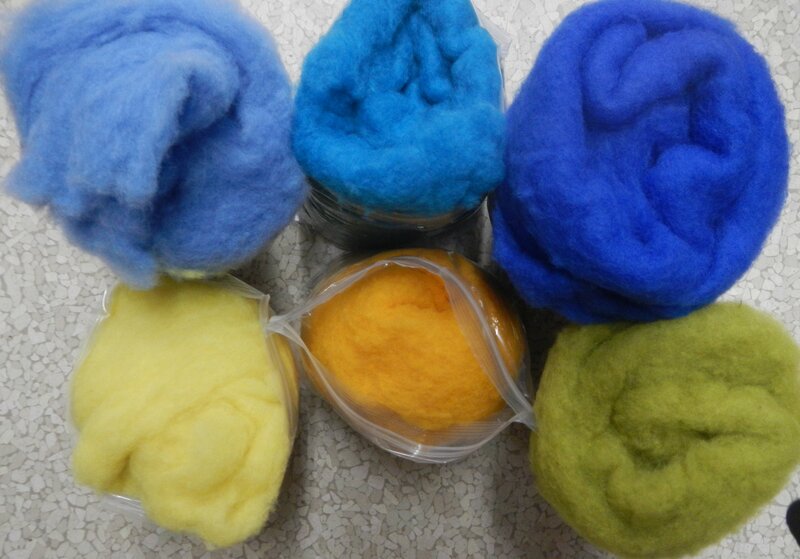 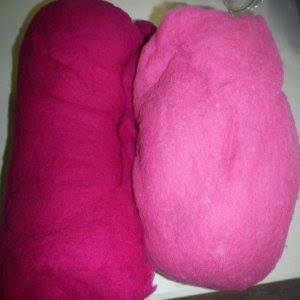 So we prefer bigger increments but since we know some of the needle felters and those of you using this for smaller items prefer to purchase smaller increments, we are offering 50 gm (1.75 ounce) increments as well.